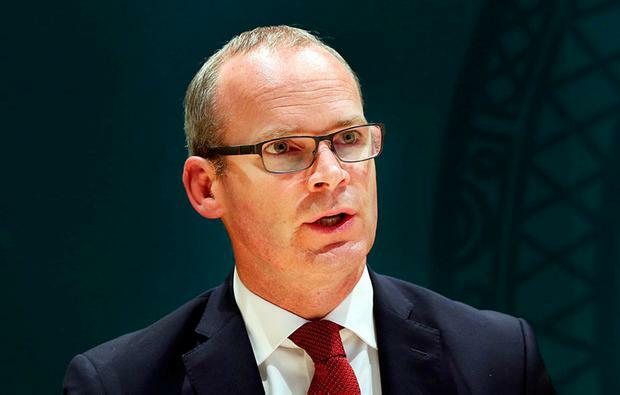 Ireland will not recognize Catalonia's declaration of independence from Spain, the Department of Foreign Affairs have said. The political turmoil in Spain intensified on Friday as the Madrid government dismissed Catalonia's president and parliament hours after the region declared independence. In a statement to media, the department said they are "concerned about the crisis in Catalonia". The statement said Ireland "does not accept or recognised the Catalan Unilateral Declaration of Independence." It reads; "We are all concerned about the crisis in Catalonia. Ireland respects the constitutional and territorial integrity of Spain and we do not accept or recognise the Catalan Unilateral Declaration of Independence. "The resolution of the current crisis needs to be within Spain's constitutional framework and through Spain's democratic institutions. Ireland supports efforts to resolve this crisis through lawful and peaceful means." Nations including France, Germany and the United States have also voiced their support for Spanish unity since the country took formal direct control of Catalonia and fired the region's defiant separatist government. The unprecedented action comes a day after lawmakers passed a declaration of independence for the prosperous northeastern region. But there was no immediate sign if top Catalan officials were intending to obey or if they would resist the sacking and throw the region into further turmoil by prolonging a month-long stand-off with central authorities. The move follows one of the most tumultuous days in the country's recent history, as the national parliament in Madrid approved unprecedented constitutional measures to halt the secessionist drive by the regional parliament in Barcelona. Spain made the takeover official by publishing special measures online early on Saturday in the country's gazette. Catalan president Carles Puigdemont casts his vote for independence from Spain . Photo: David Ramos/Getty Images. 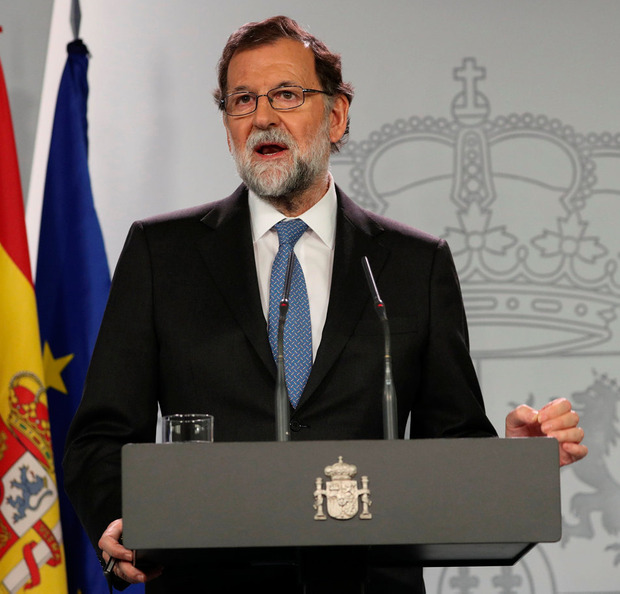 Spanish Prime Minister Mariano Rajoy, who now replaces Catalan President Carles Puigdemont as the top decision-maker in the northeastern region, has also dissolved the regional parliament and called a new regional election to be held on December 21. Still, it was not clear at all whether a new election would solve Spain's problems with separatists in Catalonia. Polls suggest pro-independence parties would likely maintain their slim advantage in parliamentary seats but would not get more than 50% of the vote. Mr Rajoy said the declaration of independence "not only goes against the law but is a criminal act". His comments were met late on Friday with jeers and whistles of disapproval in Barcelona, the main city in Catalonia, where thousands had gathered to toast the independence declaration. Mr Puigdemont and the 12 members of the Catalan Cabinet now will no longer be paid and could be charged with usurping others' functions if they refuse to obey. There was no immediate sign they intended to comply with the orders. The Catalan Cabinet met on Friday but did not make any public appearances or offer statements following Mr Rajoy's announcement of the planned government takeover. Spanish prosecutors say that top Catalan officials could face rebellion charges as soon as Monday. Beyond any possible resistance from top Catalan officials, it is unclear how Mr Rajoy's government in Madrid will be able to exert its control at lower levels of Catalonia's vast regional administration. Catalonia had secured the ability to govern itself in many areas, including education, health and policing, since democracy returned to Spain following the death of dictator General Francisco Franco in 1975. Vice president Soraya Saenz de Santamaria will be Mr Rajoy's strongwoman in running Catalonia until December 21, when Catalans are expected to choose a new regional parliament. She will co-ordinate other ministries that take over functions of the region's regional departments, including finances and security, and appoint officials to implement orders from Madrid. In one of the first moves, Spain's Interior Ministry published an order to demote Josep Lluis Trapero from his position as head of the regional Mossos d'Esquadra police in Catalonia. He will be allowed to remain as commissar. Mr Trapero became a controversial figure as the public face of the police response in mid-August to deadly extremists' attacks in and near Barcelona. He was praised for effectiveness but also criticised for coordination problems with other national police forces. Spain's National Court is also investigating him as part of a sedition probe related to the banned October 1 independence referendum, when the regional police were seen as acting passively - not aggressively - to halt the vote deemed illegal by a top Spanish court. Mr Trapero's boss, regional police director Pere Soler, said in a statement that he accepted his firing by central authorities in Madrid.